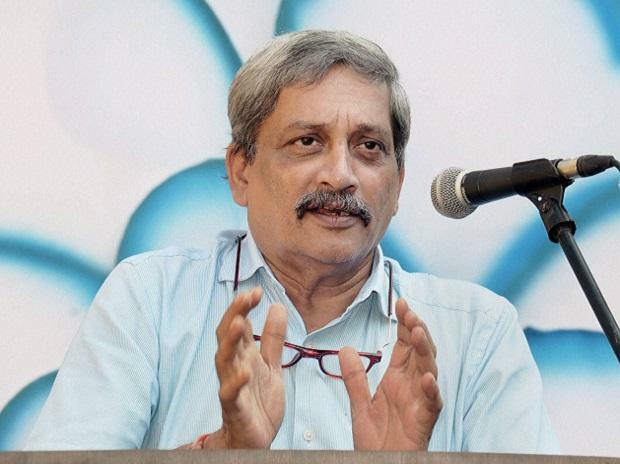 There is a genuine sense of loss and sorrow at the passing of Manohar Parrikar, and not just among political classes. An extremely unassuming and dedicated man, he fought valiantly the pancreatic cancer that was devouring him and bore his immense suffering stoically, much the same way as Steve Jobs did. He continued to serve till the end. It takes the 'genius' of Rahul Gandhi to interpret this as a sign of Mr Parrikar blackmailing Prime Minister Narendra Modi because he, Parrikar, apparently had secret Rafale files showing Mr Modi's culpability. I was among a very small number of the Indian Institute of Technology, Bombay, class of 1965, to have met and interacted with Mr Parrikar. I met him at Vadodara airport in December 2012. He was standing behind me in the line for security clearance. He could have easily skipped that as he was the chief minister of Goa then. As is now well-known, he never did that. My friend Karan Grover, the noted architect, who was Mr Parrikar’s host, introduced us. When Mr Parrikar found out my IIT background and my role in establishing Institute of Rural Management at Anand, he immediately said that I should visit him because he would like me to help him establish an institution of higher professional learning in Goa. That meeting came about in April 2013. Mr Parrikar had called me to his office around midday. Based on my experience of the offices of Gujarat and Maharashtra chief ministers, I was expecting heavy security. There was just the minimum here, which came as a great surprise then. Later, I was to find that this too was his personal trait. He was surrounded by shouting legislators, upset about an incident the previous day. He was entirely calm. He asked me to go to the anteroom, where his lunch from home was waiting. He came in after half an hour and we spent the next hour together. He insisted that I share lunch with him and apologised in advance for its frugal nature. He said that he had inherited a decrepit training facility for state functionaries which he wanted to upgrade and name after Atal Bihari Vajpayee. I suggested that it could become the Atal Bihari Vajpayee Academy of Good Governance, which immediately appealed to him. He wanted other ideas. I suggested that using the salubrious Goa climate and its tourist attractions, it could become a global medical tourism destination if a proper hospital and medical research centre were to come up. I also suggested that since Goa had extensive mining, it could establish a state-of-the-arts eco-friendly mining school, with possible collaboration from Colorado School of Mining. Both these thoughts appealed to him immensely and he said he would like to discuss them further but away from the press of his office. He said he would come to Vadodara in the next six weeks and spend a whole day with me. He also asked me to organise a visit to Amul. I told him that that could be easily done, as my former student and good friend Rupinder Singh Sodhi was the managing director of the Gujarat Co-operative Milk Marketing Federation. But I wondered whether it would be better if his office could do that. His emphatic reply was that he wanted to visit Amul not as a politician or a chief minister but as a technocrat. We parted with great mutual expectations. His constant endeavour to take Goa forward was as genuine as his disdain for the trappings of power. But he soon got very busy with the national executive meeting of the Bharatiya Janata Party (BJP) which was to be held in Goa in June 2013. He apologised and said we would meet after that event. That historic session of the party’s ruling council anointed Mr Modi as the BJP campaign chief (understood even then as its prime-ministerial face). Mr Parrikar was the lead actor getting this done. Things got into high gear thereafter and we never met. I heard from him once or twice later on saying that he really wanted to pursue the ideas we discussed but had difficulty finding time to do so. He was an exceptional IITian, an exceptional politician and above all, an exceptional human being. God knows we need more of his kind, but I am afraid we will not see the like of him any time soon.